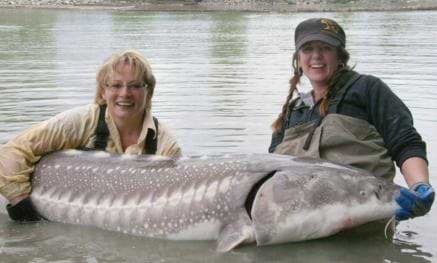 One my favourite things to do in the summertime is to take a couple of friends and go for a float down the Bow River. 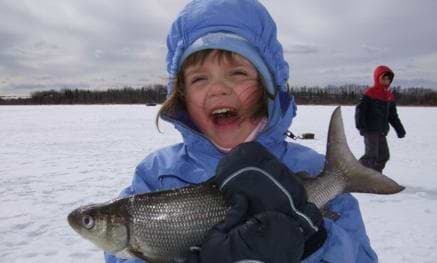 We rotate rowing and fishing and always have a good time regardless of how good, or bad, the fishing is. 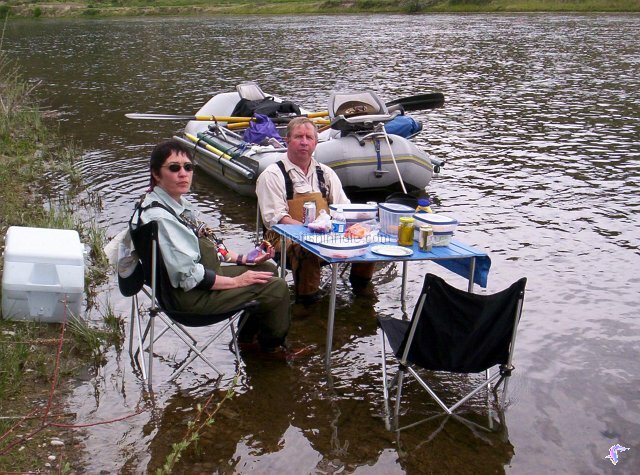 Floating and fishing from a drift boat or a raft with rowing frame has many advantages, and a few disadvantages over walking and wading. 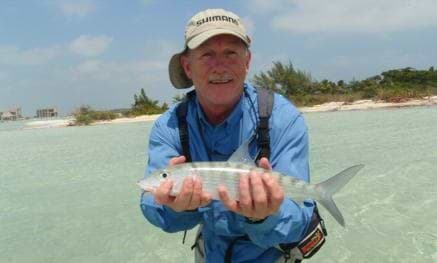 It has become increasingly popular on waters that are large enough to float. 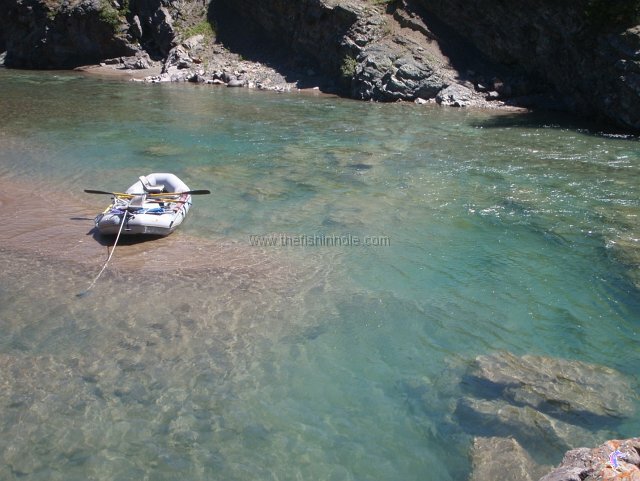 Drift boats are the most popular on rivers such as the Bow, Elk and Ontario’s Grand River. 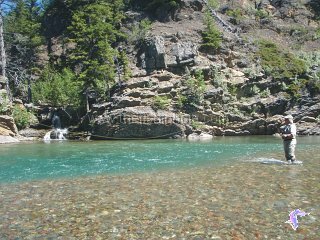 Rafts or “soft boats” can be used on these waters as well as on smaller floatable waters like Alberta’s Castle and Oldman Rivers. 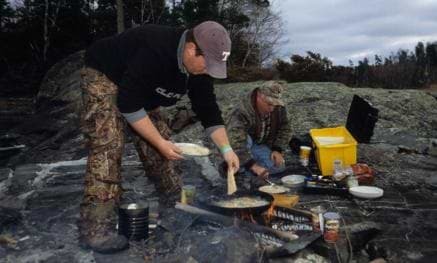 Anglers can cover more water with less work, there’s no treacherous wading involved and the whole river becomes accessible. Also “fishy” sections of water can be fished longer and “dead” water can be skipped over while sitting back and enjoying the scenery. 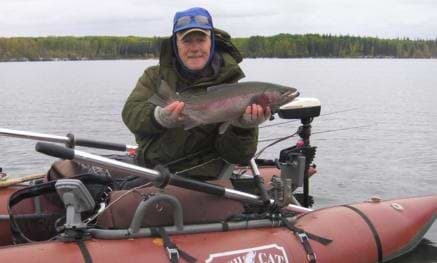 A good oarsman can put anglers in position to cast onto likely looking spots, or rising fish and the boat can usually be held in position for several attempts. Occasionally whole runs can be fished numerous times by rowing the boat back upstream in slacker currents. Anglers can also get out and wade fish these spots. While fishing from a floating boat is a fun and effective way to fish a river, it also takes team work between the rower and the anglers to make it go smoothly. Snags, tangles, hooks penetrating flesh and broken equipment can all result from simple miscommunication. When two anglers are casting from a moving boat their casts should be parallel to each other’s to avoid crossed and tangled lines. I prefer to have both anglers fishing out of the same side of the boat whenever possible and fortunately that is the case most of the time. 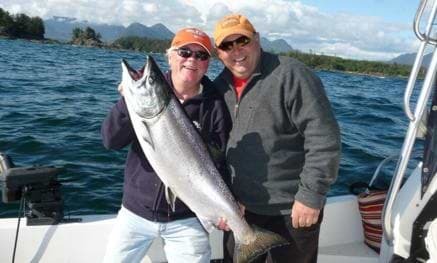 The angler in the stern of the boat has the advantage of seeing what’s going on most of the time. 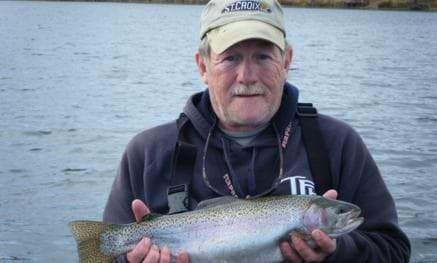 The bow angler and the oarsman are generally looking downstream, away from the rear angler and he should therefore adjust his casts based what the bow angler is doing. 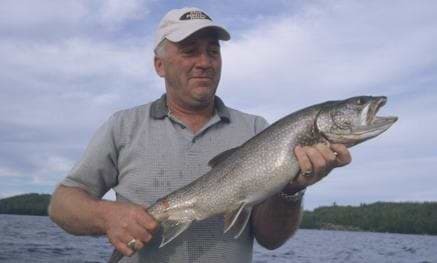 Sometimes when a particularly good looking piece of water or a rising fish is coming up commonsense goes out the window. At times like this communicating with each other becomes very important. The front angler must resist the urge to become what I call a “poacher” by not leaving enough water for the stern angler to effectively fish. 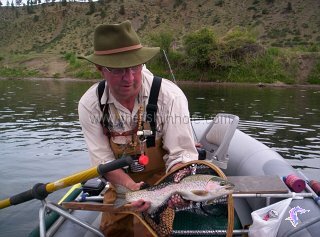 If the bow angler casts downstream and lets his fly float back past 45 degrees the stern angler has no opportunity for a cast or a drift. 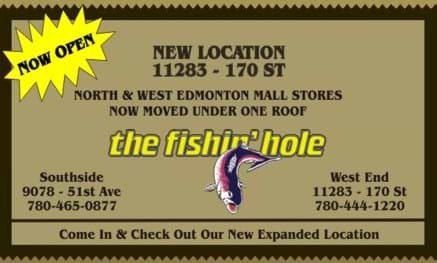 On good streams the next good looking spot will be coming along soon so get ready for it instead of beating the one you have past allowing the angler in the stern have a shot at it. If a spot is worth a little more attention get the rower to pull over and wade fish the area. 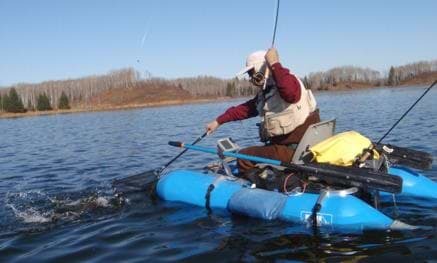 The other obstacle that the anglers have to contend with are the oars and inevitably at some point during the day a line and or flies will end up wrapped around the oars. When this happens it’s best to let the oarsman adjust his oar to facilitate the untangling, either by twisting his oar or by pulling it in. In some situations he may be busy rowing past obstacles in the water and it is best to relax, put a little slack into the line and wait for a more opportune time to get unhooked. 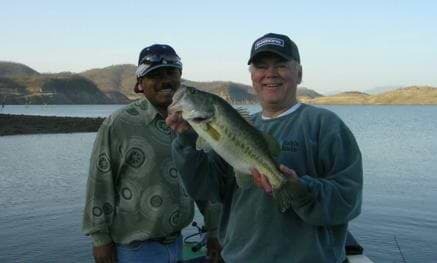 Casting flies from a moving boat is a totally different ballgame from walk and wade fishing. Other than your partner in the boat and the oarsman there is usually nothing to interfere with your back cast. 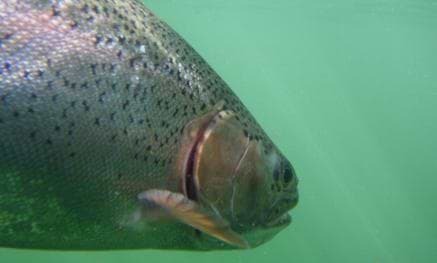 Getting your fly onto the water in the right general area is a little easier because of this, however, keeping it floating naturally, without drag, can be a real problem. 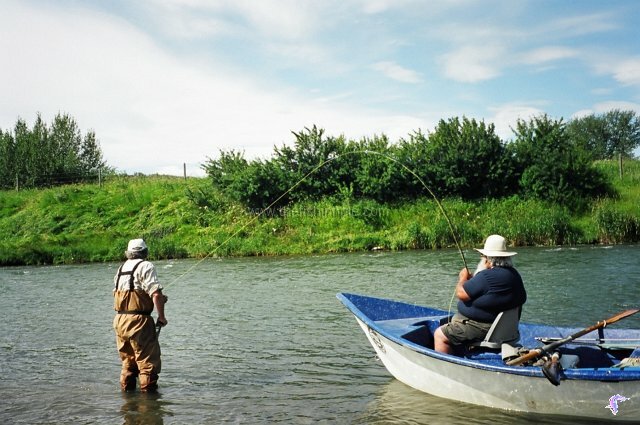 The usual scenario is that the fly is cast towards the bank where the current is slower while the line ends ups in the faster water between the boat and the bank. If left unattended the current will pull the line, in a belly, downstream causing the fly to pull away from the shore. Mending is the art of lifting the flyline, between the rod and the leader moving it in the direction of the faster currents. In this scenario the angler would mend the fly line upstream to slow it down and keep pace with the fly. 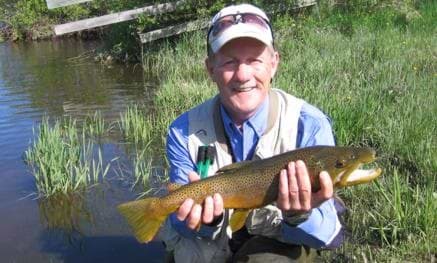 If the current happens to be slower in between the angler and the path of the fly then the line would be mended in a downstream direction to help the line keep pace with the fly. 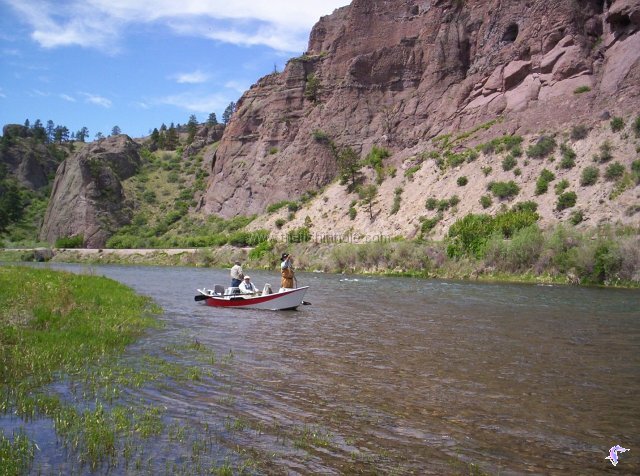 If there are currents of various speeds the angler can wave his rod from side to side during the delivery of the fly causing the line to land in a series of esses that act as both upstream and downstream mends. Keeping the fly drifting at the same speed as the current, whether it is a dry or a nymph is important. The only fly you want to impart any action to are streamers while nymphs and dries are best fished on a dead drift with the speed of the current. Faster action fly rods are your best bet for fishing from drift boats as they tend to pick up the fly better than slower rods. You can achieve quicker, higher pickups and get the fly back on the water quicker. As you move past good looking water you may only get one or two casts so you don’t want to spend your time stripping in line and false casting. By getting a higher pick up these rods will also help eliminate tangles and hitting the oarsman or your partner with the fly. Many anglers get nervous about their back cast going over top of the oarsman so the cast needs to be high enough to avoid problems. 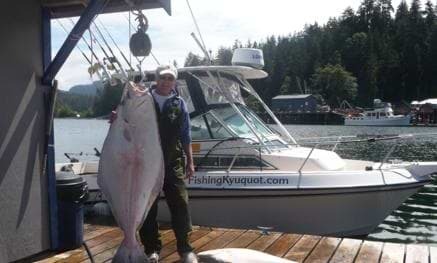 Most drift boats are set up so that anglers can have more than one rod rigged. 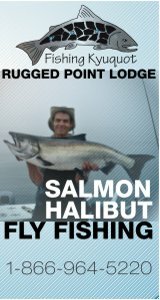 I usually rig a 5 weight rod with either a dry or nymph depending on conditions and then have an eight weight with a sink tip line rigged and ready to fish streamers. 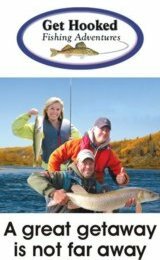 Once a fish is hooked the fun begins and all sorts of things can go wrong but an experienced oarsman will help with the landing of the fish. A fish hooked from the boat while fishing the banks will heeds it’s natural instinct to head for deeper water which is directly towards your position in the boat! 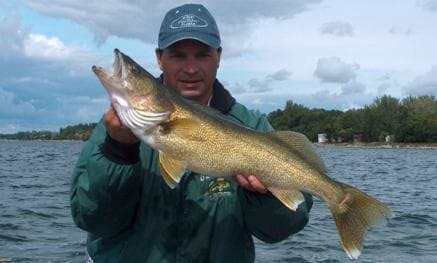 The angler must be ready to take up the slack quickly and try to keep the fish from swimming under the boat. If the oarsman has the opportunity, he should at this point row the boat to the opposite bank. This holds the fish on the same side as it was hooked, keeping the pressure on the fly in the same direction as it was when the strike took place. 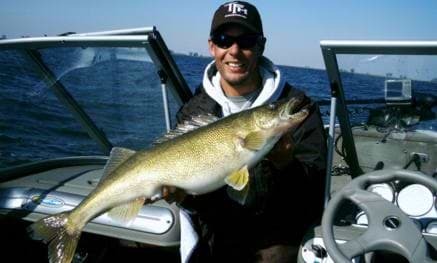 Sometimes fighting the fish from shore is the best way to go but for this to happen successfully the angler must have the fish under control and be able to exit the boat smoothly while keeping pressure on the fish. Some situations will call for the oarsman to get out of the boat and perform the netting duty. Your partner can also perform the honours with the net from within the boat and in most cases this is easier and more effective than going through the exercise of getting into the water. Drift fishing rivers is a great way to spend a day and will often result in wonderful memories of good fish and great camaraderie. 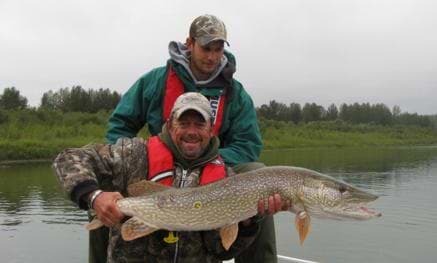 I would highly recommend it and suggest whether you have to hire a guide or find someone with a drift boat you give it a try this summer, you’ll be hooked!